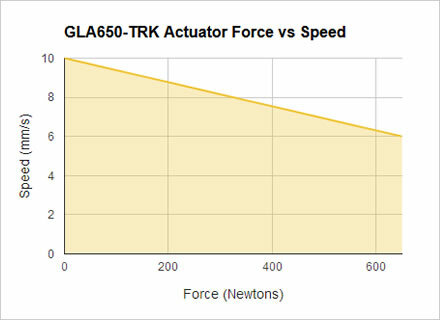 The GLA650-TRK model offers many unique mounting options compared to our other actuators by employing a track-slider output instead of the more conventional extending-rod outputs. The sliding bracket (rectangular, white) moves through a distance of 150mm (6") and can move a load of up to 650N (66kg, 146lbs). The no-load speed is 10mm/s, reducing to 6mm/s at the full rated load. Due to its compact size and flexible mounting profile this actuator is useful for many kinds of home automation and special effects projects. 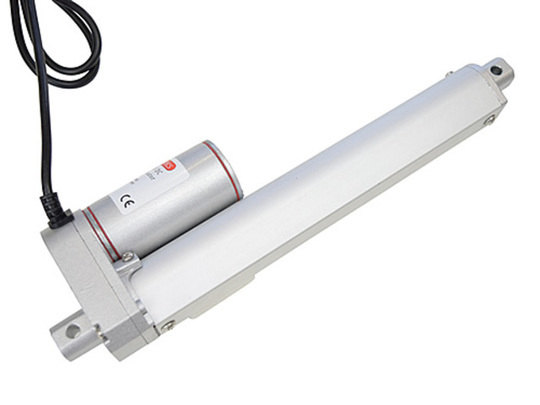 This actuator uses the same motor and transmission as the GLA750 model, only instead of a conventional lead-nut with an attached rod this model has a longer rectangular lead-nut (40mm across) with a mounting face on the side. 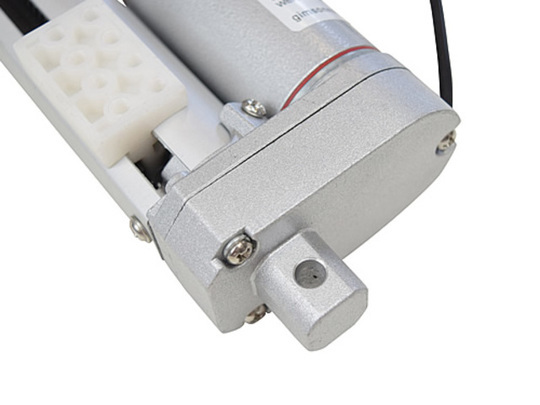 In order for the moving face to be exposed there is a cut-away along the length of the side of the actuator. 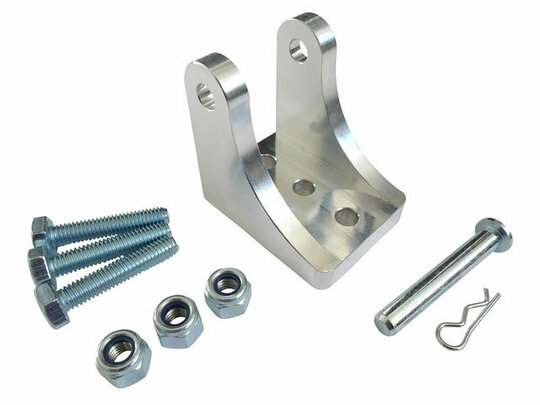 The end of the body has a fixed steel bracket with a 6mm mounting hole, located where the extending rod would normally go. The rated load capacity for this model is reduced compared to the GLA750 as any load mounted to the white bracket face will be off-set from the lead screw axis. 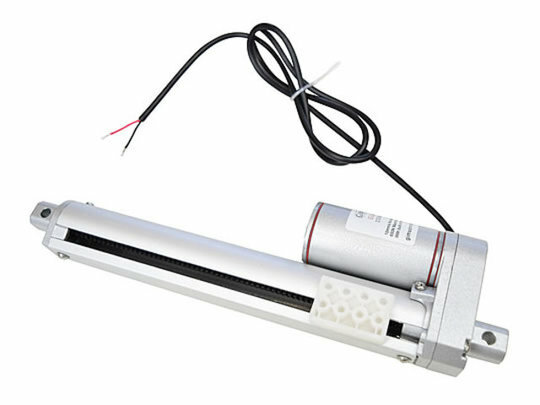 The actuator comes with a 0.8m PVC insulated lead as standard (black external sleeve with two internal cores, one red and one black) with uncovered lead ends. 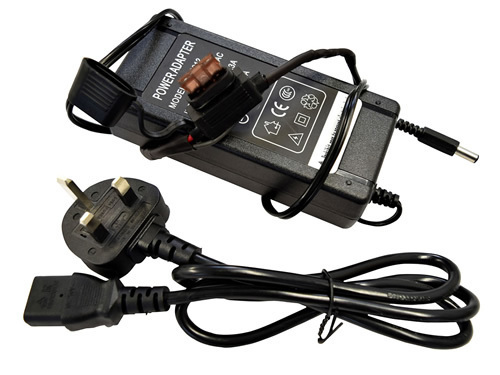 An option is provided for a DC (barrel type) power connector to be added (2.1mm internal diameter, 5.5mm external) on a 300mm lead, bringing the total lead length to 1.1m. 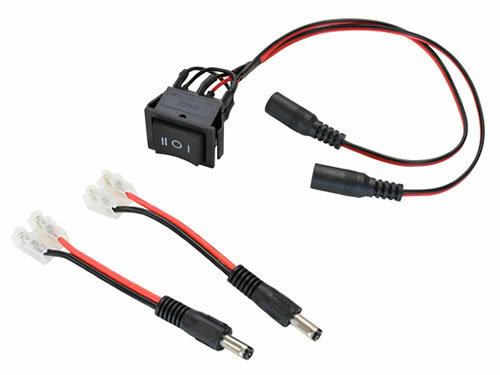 Allow for one extra working day to process your order if a connector option is added, since these are soldered and insulated to-order. When mounting a load to the actuator please try to make it as close to the lead-screw axis (centre-line) as possible. Large loads that are off-centre will mean that the friction on the lead-nut is greater and so wear will happen quicker. 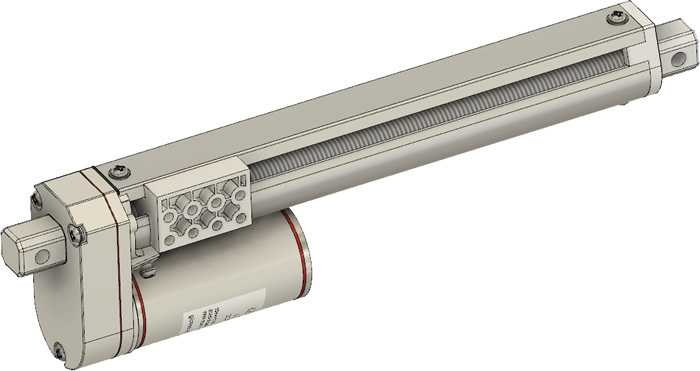 CAD models (STEP, IGS, Autodesk Fusion) of the actuator are available upon request. 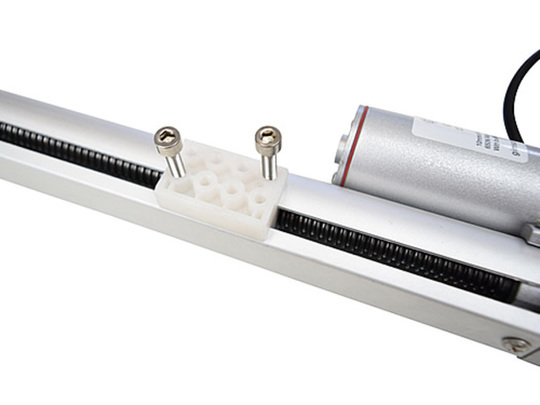 Mounting: Two 6mm diameter holes, one at either end of the actuator body. Eight M5 tapped holes on the side bracket (white). 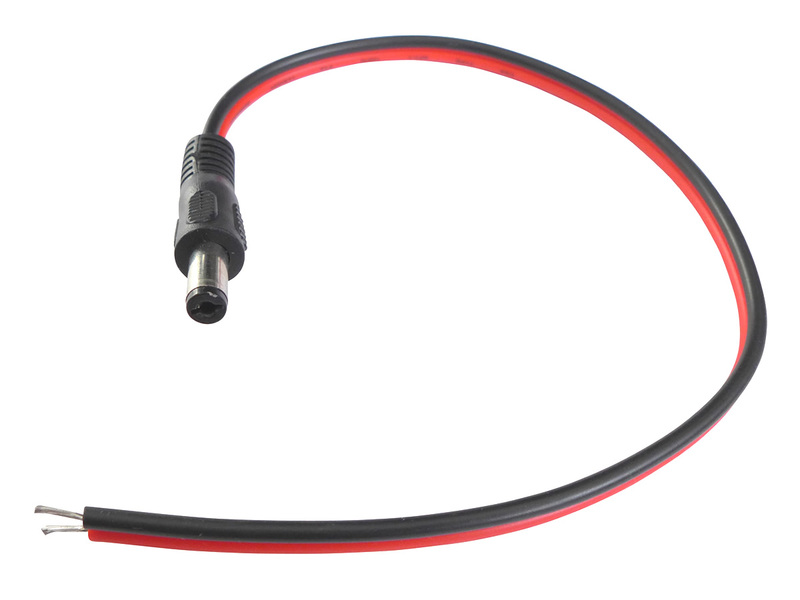 Wire length: 0.8m, excluding optional DC connector cable which brings the total length to ~1.1m.